To navigate to this page, go to Audience > Import List (on the left-hand side of the page). Then, click the "Select File" button to upload your file. We require a .csv or .txt file that is a maximum size of 2MB. 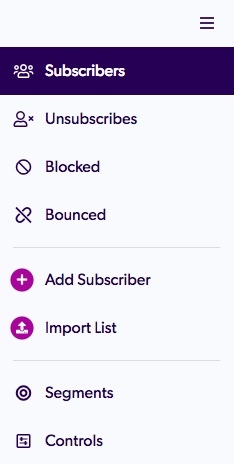 We provide some images of what your spreadsheet should look like for your upload at the bottom of the Import Subscribers page.